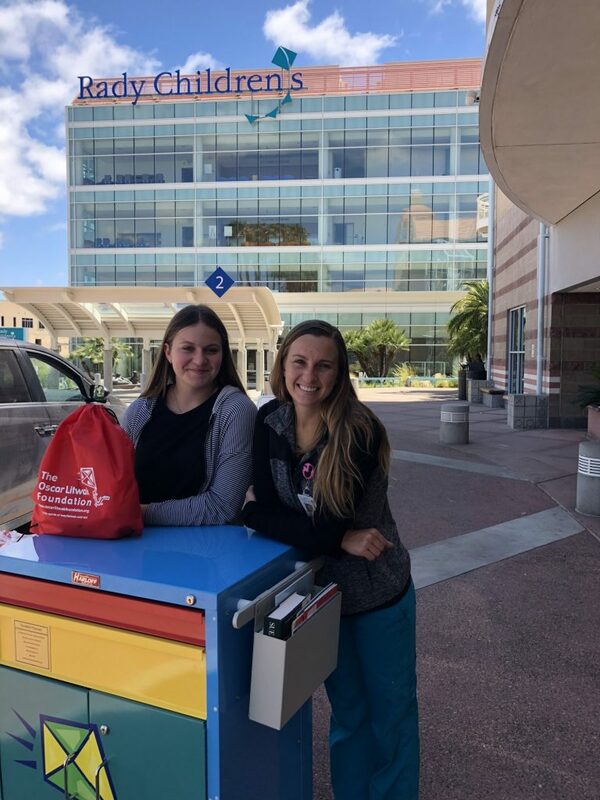 Our Mission is simple: To provide every hospitalized child in the U.S. access to play and entertainment while undergoing hospitalization and/or receiving long term medical care. Specially manufactured carts filled with books, toys, arts and craft supplies, and games. Completely customizable to suit each hospital’s specific needs, and best of all, they are 100% mobile and can be easily wheeled from one room to the next. If you are a healthcare provider seeking to upgrade playroom facilities or offer Mobile Playrooms to your patients or if you know of a hospital/pediatric healthcare facility that could benefit from a Mobile Playroom, please contact us today!! 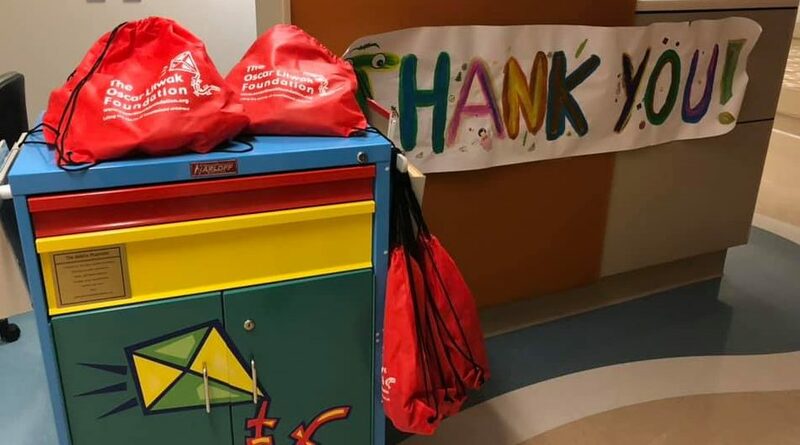 One goal: "Lift the Spirits of Hospitalized Children"
The Oscar Litwak Foundation has placed close to 120 Mobile Playrooms in Hospitals and Pediatric Institutions all across the U.S.
of every dollar raised by The Oscar Litwak Foundation is directly related to the Mobile Playroom program. You can make a difference in the life of hospitalized children. Mobile Playrooms improve the hospitalization experience of children while receiving medical care. Playrooms are designed to be efficiently wheeled from one room to the next, serving a great number of patients. Mobile Playrooms are hospital grade carts, custom-built for the Foundation based on strict specifications. Mobile playrooms are customized to meet the needs of each hospital based on its patient population. Lifting the Spirits of Hospitalized Children! Created from an Unfulfilled Need. We discovered very quickly that most children's needs do not follow playroom operating hours! Operation/supervision of the hospital playrooms typically are restricted by the availability of any hospital’s human & economic resources! When Oscar was hospitalized it became obvious pretty quickly that most children do not follow the schedule of playroom hours. There are times when the children, due to their diagnosis, medical condition or treatment are unable to leave their bed / room and go to the traditional playroom, thus completely missing the opportunity to engage in play even if limited. We discovered that of 5,500+ hospitals throughout the US, few facilities have a playroom available at all and children are left to find entertainment on their own. Close to 120 Mobile Playrooms! Thanks to generous donations we now have close to 120 Mobile Playroom units in the U.S. and around the world. if you know of a hospital/pediatric healthcare facility that could benefit from a Mobile Playroom, please contact us today!! 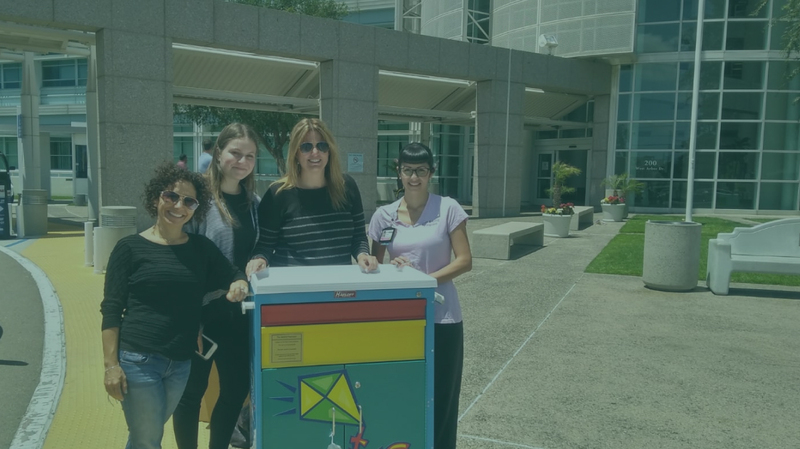 As part of the Mobile Playroom Program, The Oscar Litwak Foundation commits to restocking each unit for a period of two years after its initial delivery; thus ensuring the continuity of the program. 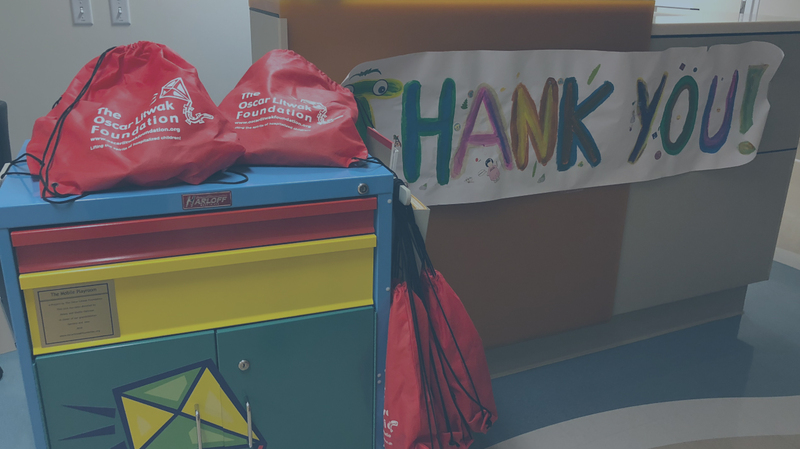 If your hospital or institution is currently using a Mobile Playroom and it is in need of additional or replacement materials, please fill out the form below. We will be happy to send you the requested items as soon as possible.